Sitecraft , a specialist supplier of a diverse range of materials handling systems now offers the all new Multi-Tip wheelie bin tippers. The clever tipping action of Multi-Tip wheelie bin tippers ensures that the bins are lifted straight up and then rolled forward safely to empty the contents. The all new wheelie bin tippers can effortlessly lift and tip bins weighing up to 100kg. 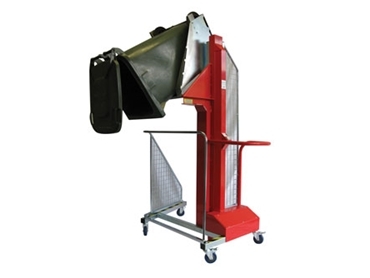 Multi-Tip wheelie bin tippers are battery-operated systems that can empty up to 5 tonnes of product on a full charge. The standard cradle in the Multi-Tip is designed for 240-litre MGB wheelie bins. Optional bolt-on spring-loaded catches enable 80, 120 and 140-litre bins to be emptied as well.